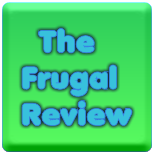 FRUGAL REVIEW: Design your Christmas Gifts with Personalization Mall. Design your Christmas Gifts with Personalization Mall. Merry Christmas to you too flowerzn cakez! Thanks for visiting!